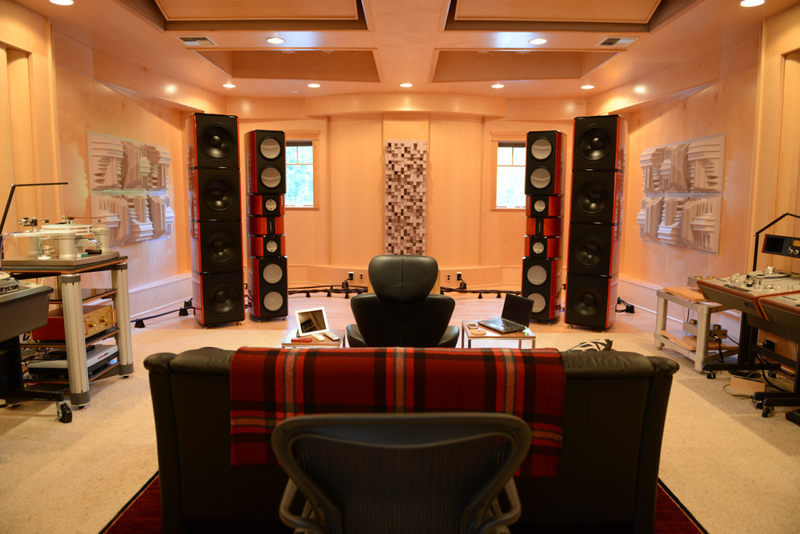 above the Evolution Acoustics MM7 loudspeakers. twin towers, 86 inches tall, 1300 pounds per side. 96 db efficient, 6 ohm nominal loading. 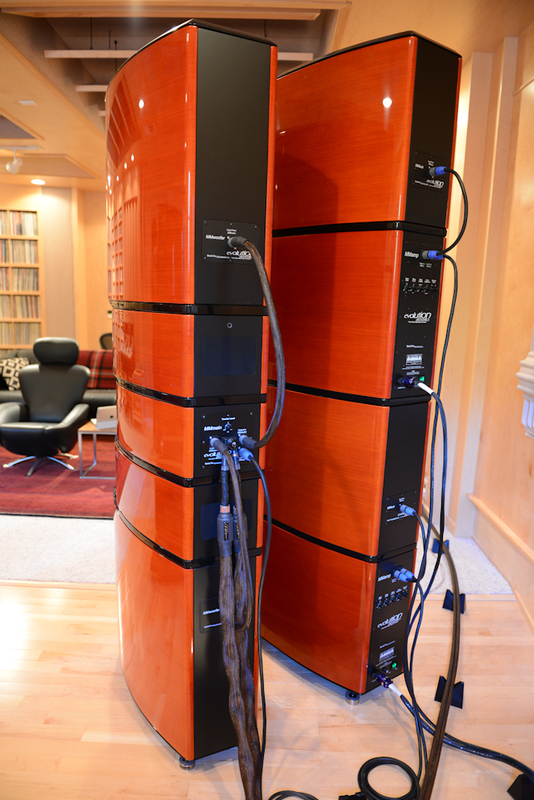 active bass towers with 2 separate 1000 watt amplifiers and multiple adjustments. the scale of the speakers is so large that it does cause the room to look a bit modest in size; however, it is a large room at 29' long, 21' wide, and 11' tall. the speakers are 7 feet tall and massive. 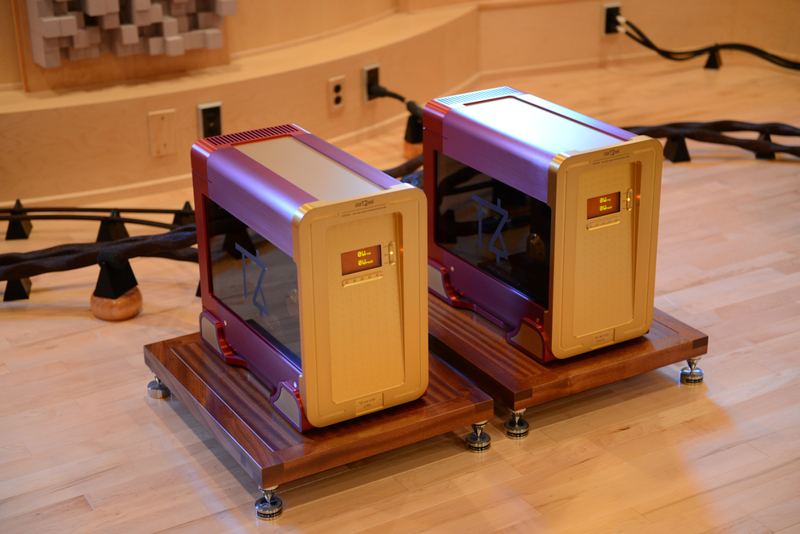 between them (and below) the darTZeel NHB-458 mono block amplifiers. 450 watts into 8 ohms. middle shelf-- darTZeel NHB-18NS battery powered preamp. 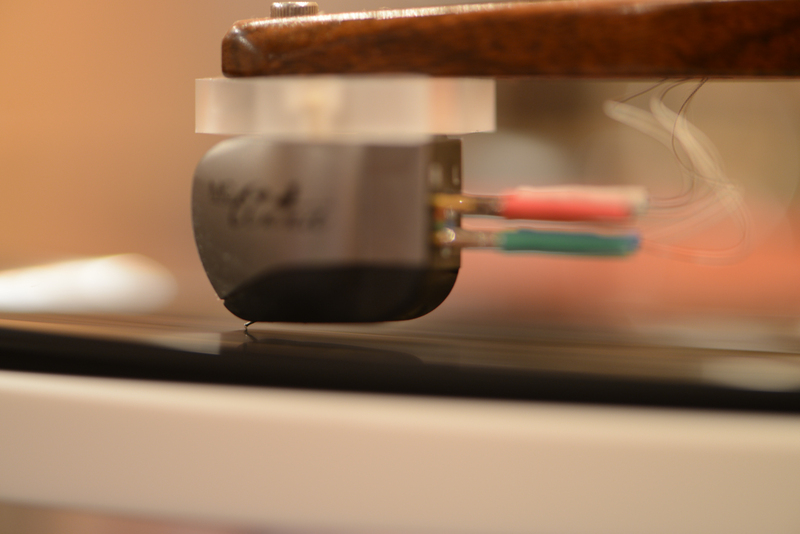 with 2 separate phono stages. Wave Kinetics tt, Durand Telos and Durand Talea 2 arms. Playback Designs MPS-5 digital player/DAC with USB X-box connected to a 10 terabyte music server. 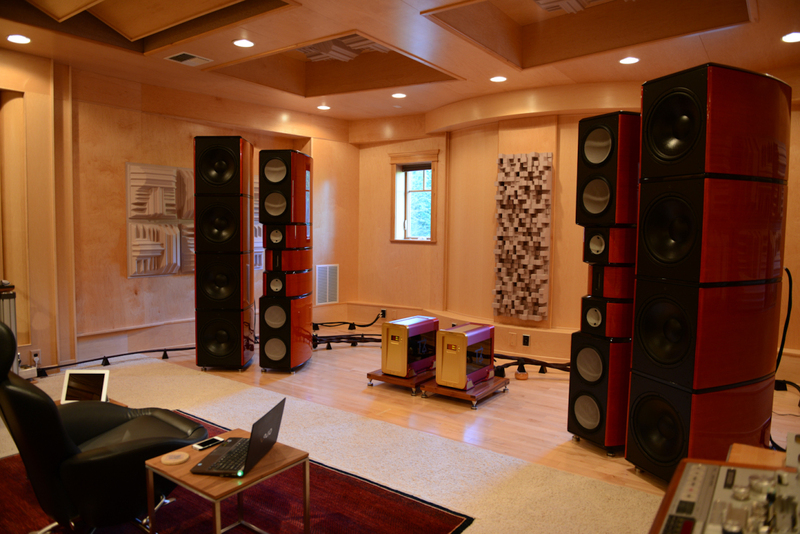 Evolution Acoustics MM7 speakers. 4 towers. main towers 81" tall, 600 pounds. extend down to around 20hz. 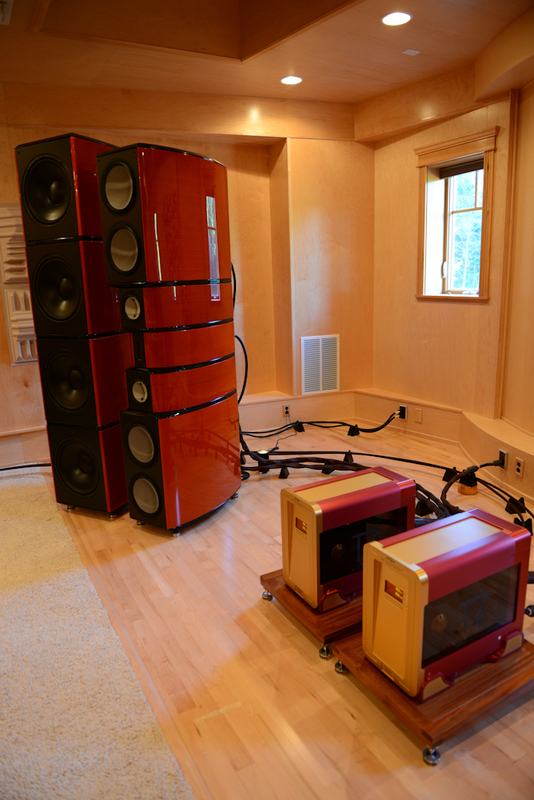 bass towers, 84" tall, 700 pounds. -3db at 10hz, -6db at 3hz crossover around 40hz. CD Player/DAC: Playback Design MPS-5 digital player and DAC. USB X-box with 10 terabyte music server. 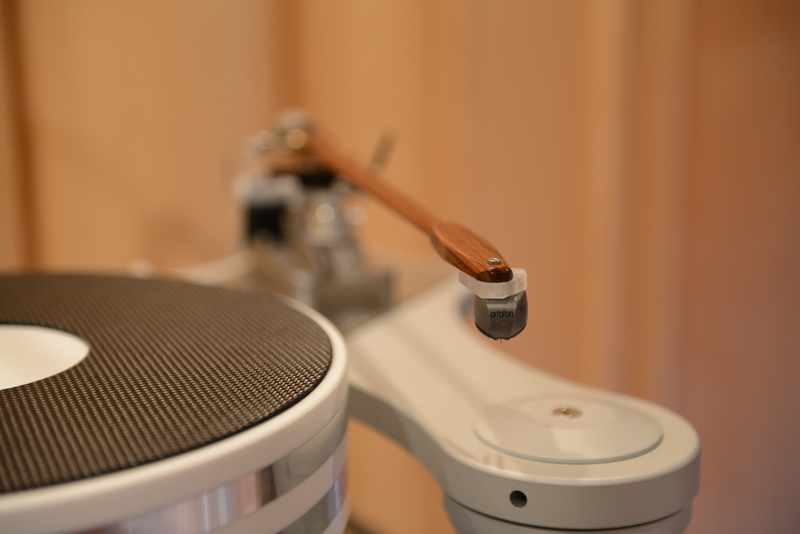 Wave Kinetics NVS turntable, Durand Telos tonearm, Ortofon MC Anna cartridge; Durand Talea 2 tonearm, Miyajima Labs Premium Be mono cartridge. 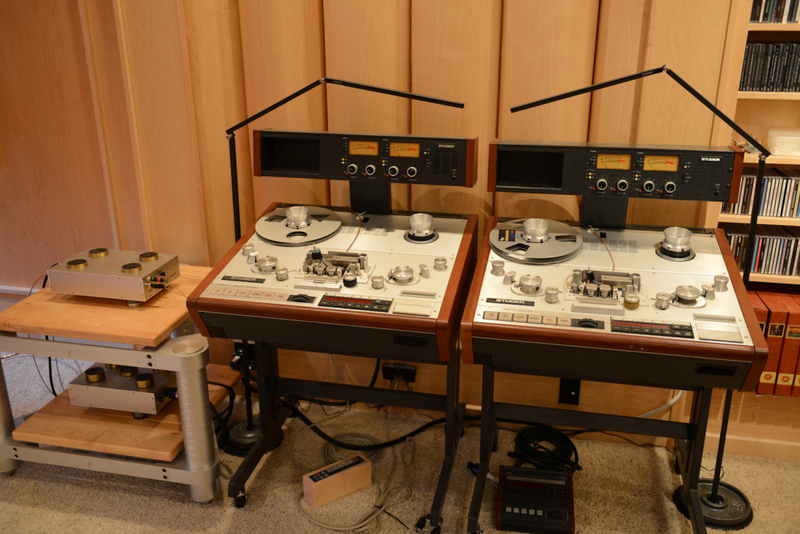 King-Cello tape repro, twin Studer A-820 Master Recorders. one with 1/4" heads and one with 1/2" heads. 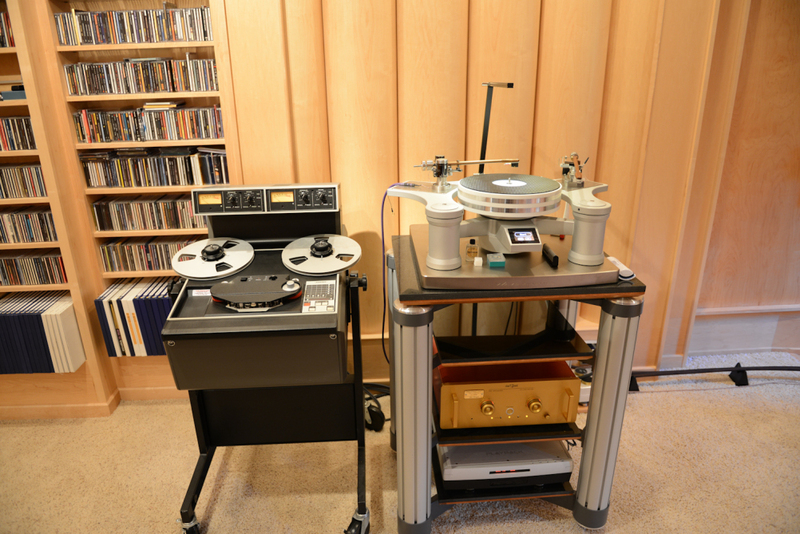 Ampex ATR-102 with 1/4" and 1/2" heads in above picture. 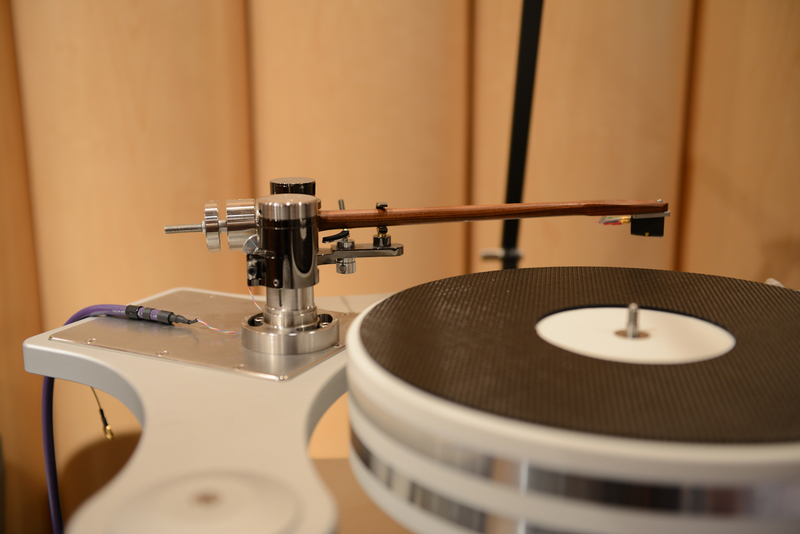 Speaker Cables are Evolution Acoustics (TRSC) triple run, 12 feet. interconnects are Evolution Acoustics BNC 'zeel' 7.5m, 1.25m, and Herve 8m. 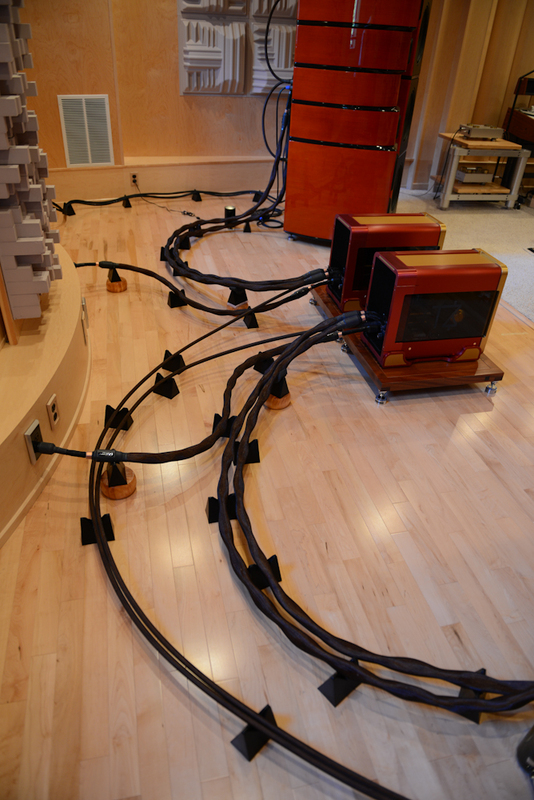 power cables are (2) Evolution Acoustics (TRPC) triple run power cords for the dart 458 mono block amplifiers. and 10 Absolute Fidelity power cords on everything else. 2 each on each bass towers. and 2 on the Studers. 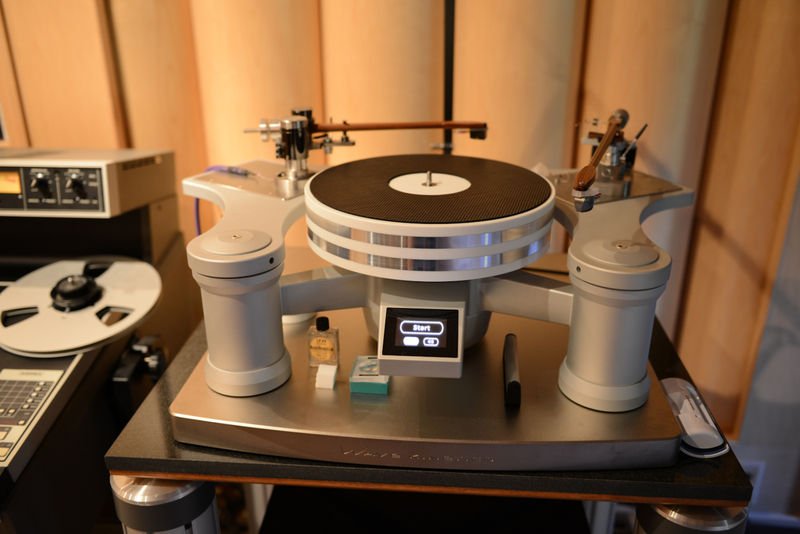 and one each on the NVS tt, PD digital, King-Cello, and dart pre. 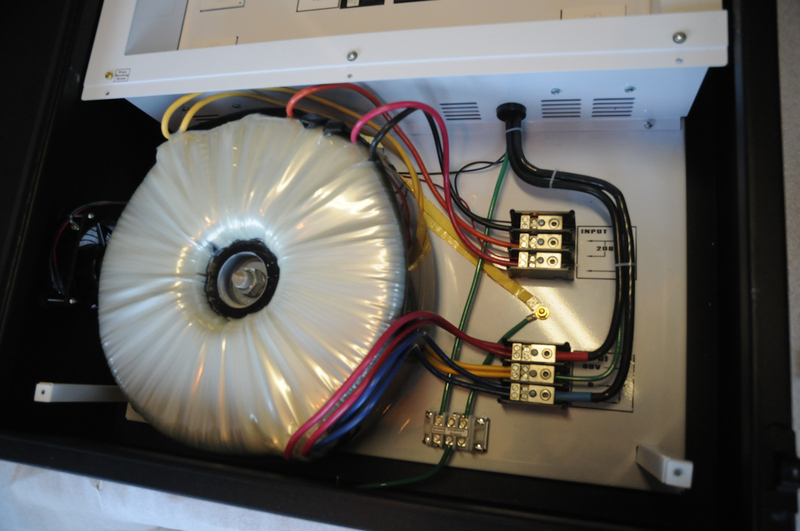 Equi=tech 10WQ wall panel system with 10kva 'Q' balanced isolation transformer. home runs of 10 gauge Romex to each outlet. Furutech GTX-D Rhodium outlets with Oyaide outlet covers. 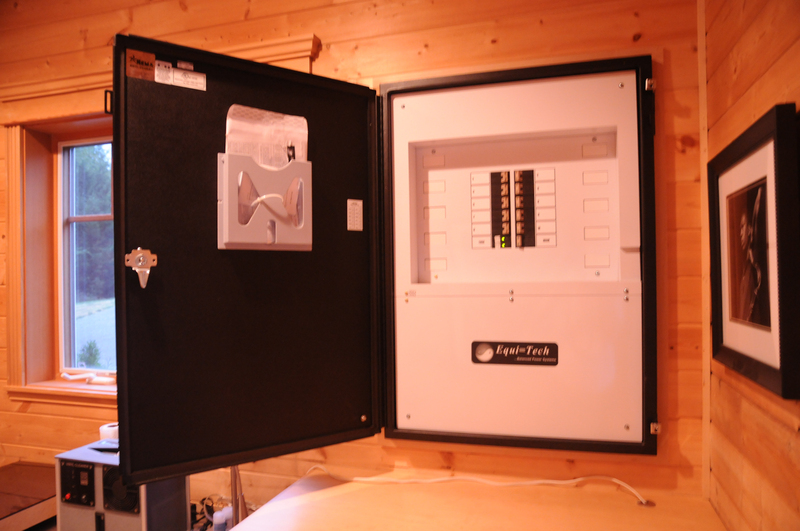 the Equi=tech 10WQ wall panel system is mounted on the wall opposite the door to the listening room. Tweaks: Wave Kinetic 2NS footers underneath the speakers and amplifier rack. Wave Kinetics A10 U8 footers underneath everything else. 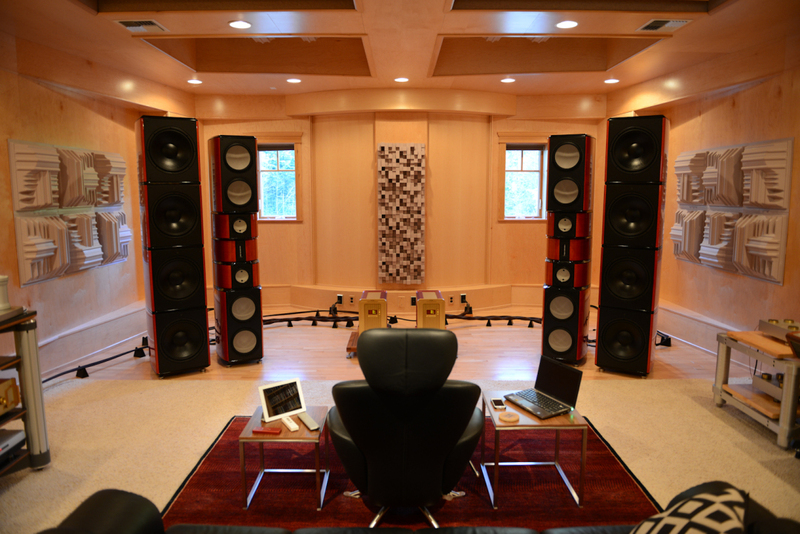 Room Comments/Treatments: the room is purpose designed as a 2 channel listening room by Chris Huston of Rives Audio. the below picture does show 2 elements added since the room was built in 2004. the RPG Skyline diffusers (3 stacked) between the speakers, and the Auralex T-Fusors on the side walls next to the speakers. 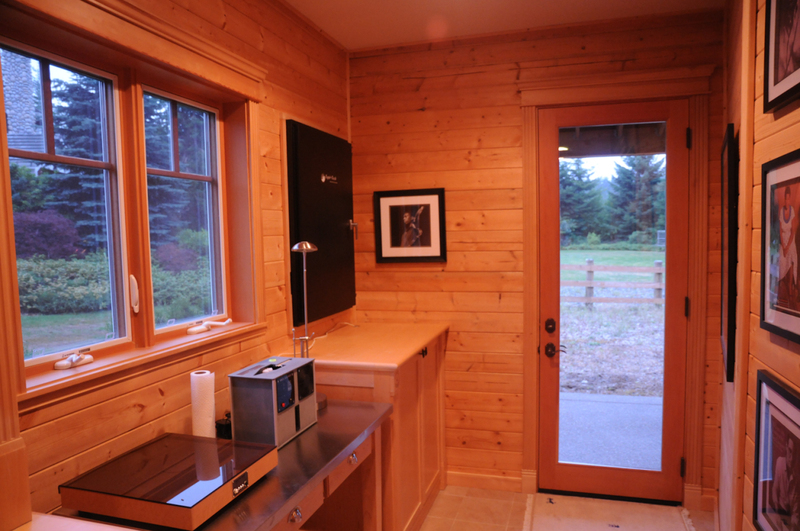 for more information on the room design and build process scroll down and click on the link to the Positive Feedback article i wrote in 2004 on this room project. female vocal, small group jazz, any type of music that sounds good, any natural recordings , 50% jazz, 30% pop, 20% classical. 3500 cds, 6000 lps, 675 sacds. 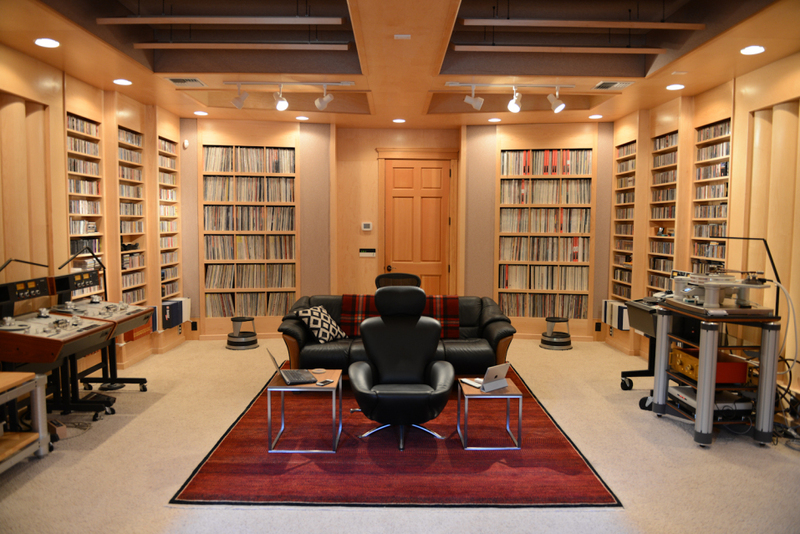 The listening room holds all my digital and about 40% of my Lps. System Goals/Comments: to have a system that can retain the musical magic on all types of music, small and large scale and have the resolving power and refinement to connect me with the soul of the music. also, handle the frequency extremes without loseing coherence. this room/system absolutely succeeds at this. There is a 'link' at the bottom (see 'URL link') of this page to an article (in Positive Feedback Online) written about the process of building this room. gets out of the way of the music. it does allow the 'art' of music to touch me and make my day better. System Weaknesses: none inherent in the system and room......more a matter of going down the path of learning what this system CAN do. at this point it is quite amazing. i see my listening limitations as the system limitation. Processor/Receiver/Amplifiers: Lexicon MC-12, Proceed AMP 5, Proceed HPA-2 amp. Lexicon 7 channel amplifier. Sources (DVD/VCR): Sony BDP-S1 Blue Ray, Toshiba HD-XA2 HD-DVD, Comcast HD with DVI output, Sony HD-200 Direct TV, JVC HM-DH40000U D-VHS player/recorder. Other Interests/Hobbies/Occupation: 61 years old, married 38 years, work in retail, love music and audio.